On a cruiseship bound for Buenos Aires, a wealthy passenger challenges the world chess champion to a match. He accepts with a sneer. He will beat anyone, he says. But only if the stakes are high. Soon, the chess board is surrounded. At first, the challenger crumbles before the mi... read full description below. Stefan Zweig was born in 1881 in Vienna to a wealthy Austrian-Jewish family. 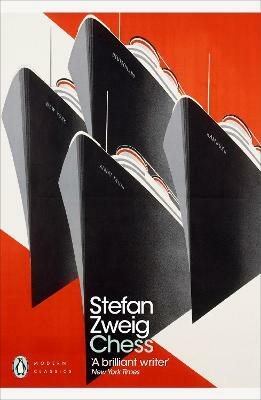 Recognition as a writer came early for Zweig; by the age of forty, he had already won literary fame. In 1934, with Nazism entrenched, Zweig left Austria for England, and became a British citizen in 1940. In 1941 he and his second wife went to Brazil, where they committed suicide. Zweig's best-known works of fiction are Beware of Pity (1939) and The Royal Game (1944), but his most outstanding accomplishments were his many biographies, which were based on psychological interpretation.